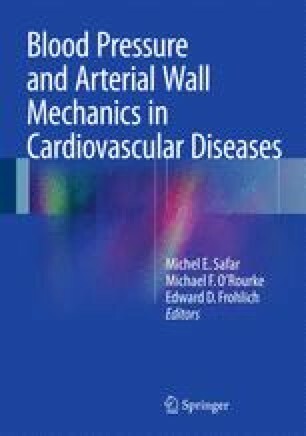 Longitudinal studies demonstrated that the risk of cardiovascular disease increased with pulse pressure (PP). However, PP remains an elusive cardiovascular risk factor with findings being inconsistent between studies. The 2013 ESH/ESC guideline proposed that PP is useful in stratification and suggested 60 mmHg as threshold, moving it up to by 10 mmHg compared with the 2007 guideline without providing any justification. Published thresholds of PP are based on office blood pressure measurement and often on arbitrary categorical analyses. In the International Database on Ambulatory blood pressure in relation to Cardiovascular Outcomes (IDACO) and in the International Database on Home blood pressure in relation to Cardiovascular Outcome (IDHOCO), we determined outcome-driven thresholds for PP based on ambulatory or home blood pressure measurement, respectively. The main findings are that below age 60 PP does not refine risk stratification, whereas in older people the thresholds were 64 and 76 mmHg for the ambulatory and home PP, respectively. However, PP provided little added predictive value over and beyond classical risk factors. Gillespie BW. Use of generalized R-squared in Cox regression. https://apha.confex.com/apha/134am/techprogram/paper_135906.htm. APHA scientific session and event listing. 2006. Accessed 15 Dec 2013. Aparicio LS, Thijs L, Asayama K, Barochiner J, Boggia J, Gu YM, Cuffaro PE, Liu YP, Niiranen TJ, Ohkubo T, Johansson JK, Kikuya M, Hozawa A, Tsuji I, Imai Y, Sandoya E, Waisman GD, Staessen JA, on behalf of the International Database on HOme blood pressure in relation to Cardiovascular Outcome (IDHOCO) Investigators. Reference frame for home pulse pressure based on cardiovascular risk in 6470 subjects from 5 populations. Hypertension Res. 2014. Mar 20. doi: 10.1038/hr.2014.45.